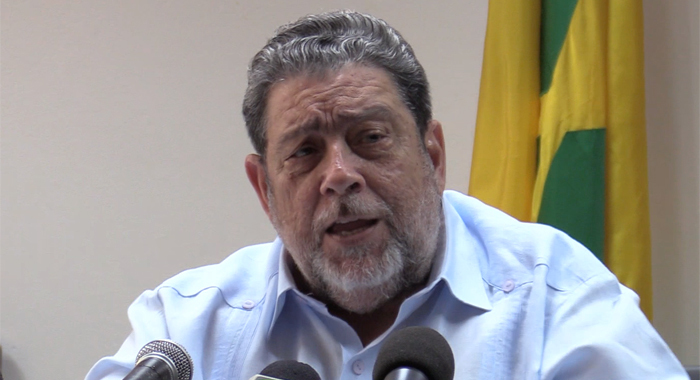 Prime Minister Ralph Gonsalves has made it clear that is wrong to discriminate against someone on the basis of his or her hair. His comments on Xtreme FM on Tuesday came as he was asked his view on the ongoing situation at the St. Mary’s Roman Catholic Primary School, where a 6-year-old non-Rastafari girl has been told that she must cover or cut her dreadlock or seek education elsewhere. 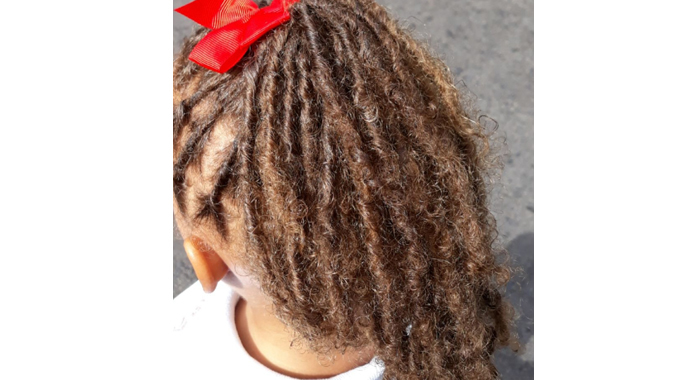 The child, who is in Grade 1, is into her second year at the school, which has a policy that Rastafari students must cover their hair while attending classes. The child’s mother, who asked that neither she nor the child be identified by iWitness News, said that she locked up the child’s hair in response to her eczema, which, she said, was being aggravated by frequent combing. The mother said that she tried to comply with the policy at the beginning of the term, but heat from the headwear was aggravating the child’s skin condition. He said that in relation to a prisoner, a security element arises “because you can fold up a razor blade inside your hair, inside of what, as they call it, your ‘natty’. “You can put some device of some kind in it. Those are different considerations. But you can’t — in this case, I understand that the child is not Rastafari and there is a particular health reason why they are growing it in this particular manner,” said Gonsalves, who also has ministerial responsibilities for national security and legal affairs. The prime minister said he does not want to talk about the particular case of the child — who is into her second week away from classes because of her hairstyle. A photo of the child’s dreadlocks, as supplied by her mother. “All I could talk about [is] the general case. And always in these matters and when it involves children, they must always be handled with the utmost sensitivity because you can affect a child adversely if the matter is not handled with sensitivity. So, I think from the way I have spoken, you know where I am on the issue, but I can’t speak on the issue. Or you get an idea as to where my judgment would fall on the issue,” Gonsalves said. The child’s mother told iWitness News on Monday that she did not wish to comment further on the issue at this time. She had said last week that she would have taken a medical certificate to the school proving the child’s skin condition and the impact that covering her dreadlocks is having on them. The school has declined iWitness News’ request for a comment on the issue. When iWitness News visited the school last Wednesday, a female teacher was wearing a hairstyle in which a synthetic material was woven into her hair to look like dreadlocks. The school, apparently, had no objection to the fake dreadlock hairstyle being openly displayed, but is firmly against genuine dreadlocks being displayed on its premises. One past student of the school told iWitness News that when he attended 30 years ago, his schoolmates included members of a Rastafari family, who did not have to cover their dreadlocks while at school. The past student felt that the policy was retrogressive for a school that had pioneered the way in giving teen mothers a second chance at a secondary education at a time when they were expelled from state-owned schools because of their pregnancy. Let’s face the pros and the cons in this situation. The facts are as repoted: (1) If the child in question, combs (grooms) her hair, it will stimulates the adverse effects of eczema; (2) If the child covers her hair, it obviously will cause a rise in temperature which will generate heat and that as well will stimulate the effects of eczema. Hence the following questions arise: Were the school’s authorities brought to attention or notified of those conditions beforehand? Did the mother of the said child present documentation to that effect to the school’s authorities? Has this matter been reported to the education ministry? If the answer to those question are in the affirmative, then the PM had all legal right to comment on the issue on a legal perspective if he was asked. However, we are yet to hear from the Ministry of Education on this matter, being the fittest department to have been contacted for a comment. Hon Prime Minister it’s commendable that you spoke to the issue involving the child in a general context. However, being an attorney I think you should speak to issue in the context of the Constitution. I believe this is a national issue and there may be many other cases. The child in under no obligation to cut her hair. These are the reasons that we have a Constitution; to safeguard fundamental rights and freedoms. Speaking on the issue of Prisoners. Any Prisoner wishing to challenge the cutting of their hair Constitutionally can do so. More thank likely the challenge will succeed in the Supreme Court. Backward to the bone. So, A person has to cut his or her dreadlocks if they go to prison? Talk about oppression. and, stripping away of every last sense of pride in a human being. It’s no wonder that they get twice a bad when they leave prison. What is left are savages. When will the people realize that they are being treated like cattle? You maybe a lawyer and im not one LOL but I challenge your position in this matter and your prisoner argument . A prisoner becomes the state responsibility once a prisoner and if they have credible reasons to believe the prisoner’s hair serves a security or health risk THEY CAN CUT the hair as long as there is evidence and can prove it , even in the Supreme Court where ultimately the challenge would end up . Doing so without any legal reasons is another story and your constitutional argument will hold up . But once you become a prisoner certain rights and privileges are forfeited . to address the issue at hand , if the child was Rastafarian the matter would be solved so the only issue here is the mother must show a doctors note to support her reasons . The mother knew the rules and signed on to them before enrolling her child . From what I understand even in a case of a rasta once you can submit credible proof the school has no issue with the hair . In my view this matter is blown out of proportion by the mother by simply not presenting the doctors note to support her claim . …which she very well might be telling the truth and I want to make it clear I support her but there is a wrong way and a right way of doing things . But we Vincentians dont like to follow rules or told what to do . Though I do not support the school’s silly policy in this case, there is nothing that I have seen in our 1979 Constitution that would prevent an educational institution from enforcing a dress or hair-style code that is not otherwise protected by freedom of expresssion, religion, or other freedoms. If a school requires a uniform of a certain type or colour, even if that uniform offends personal beliefs, a sense of self, or even health concerns can a student, parent, or the State declare otherwise? If a school insists that all female students who have reached puberty wear a brassiere should young women who experience discomfort with such undergarments be exempt from doing so based on the Constitution? you are correct in that sense , I said the same thing . Its already a well known fact the child isnt Rastafarian so the religious protection is out . The only credible argument is medical reasons which must be supported by a doctors approval . Once the mother sign an agreement to abide by the schools rules . as long as the rules isnt infringing on the rights of the individual based on the constitution , the school is in the right. The mother only needs to present the school with the doctors note and the issue is solve . Lol no white people are always ahead, I went to school in Canada and trust me no one cares if you brush your teeth or comb your hair or what you where to school. No children left behind regardless of their looks. They already figured if you want to stay atop the world education is the key. Why are we so hell bent on subjugating and socially oppressing our children? Why are we so hell bent on forcing our will and erroneous ways on them? This when we are incapable of developing our society to even vaguely approximate the rest of the civilized nations. Some things are seriously wrong here. It is wrong to discriminate against another on the basis of their color, who bush will see and who he will not see.